Yes, October is Breast Cancer Awareness Month. The country turns pink. You can’t escape it. But EVERY month is Breast Cancer Awareness Month at Provision Project. EVERY month we receive applications from women who need help paying their bills while fighting breast cancer. Funding is needed EVERY month to help. We need your help! Five dollars. Most of us spend five dollars without blinking. At the coffee shop. At a convenience store. At a fast food restaurant. At the drug store. Five dollars. It’s not a lot, right? So can we ask you to donate at least $5 a month for the next year? If you do …. and if others do …. we will be able to help more women at higher levels of assistance. Many small donations can have BIG IMPACT! Who do you know that will also pledge at least $5 per month for the coming year? Please provide at least FIVE NAMES of friends/family below. 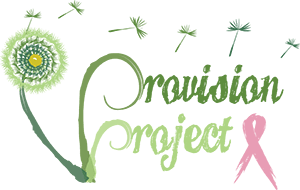 We will send them a short email, indicating that you participated in Provision Project’s “Provide with 5” campaign, and that they are invited to join the campaign, too!